“Hurricane Sandy fostered innovation by demonstrating that when buildings are isolated from the supply of fresh water and electricity, roofs could serve an important role in keeping building occupants safe and secure. Locating power and water sources on rooftops would have maintained emergency lighting and water supplies when storm surges threatened systems located in basement utility areas. Thermally efficient roofs could have helped keep buildings more habitable until heating and cooling plants were put back into service. 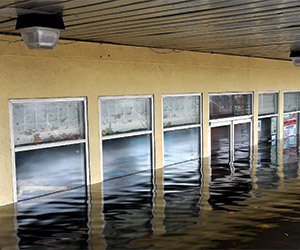 For more information on the importance of resiliency in buildings, check out ERA’s recent blog post on the topic.